Melotte 15 is a young open cluster aged about 1.5 million years which was formed from the gas surrounding it. 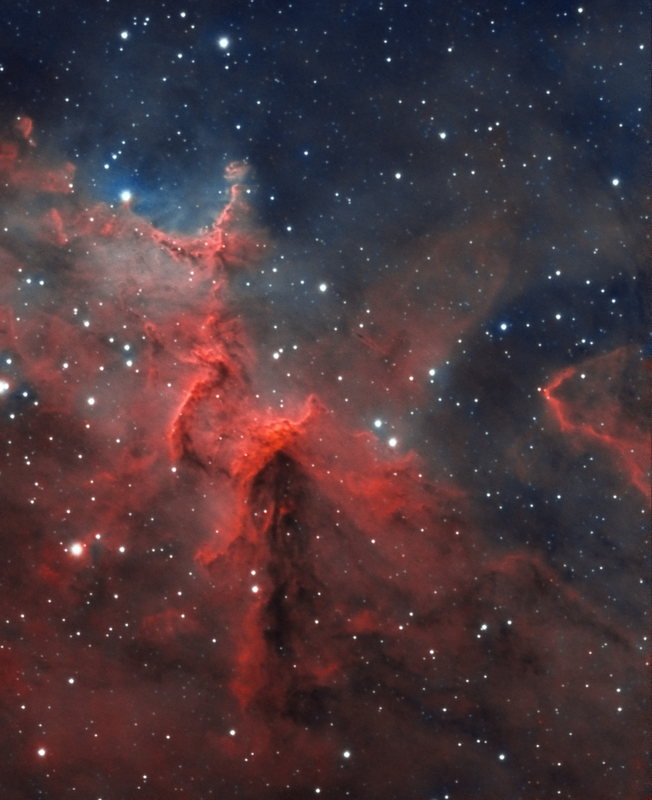 It is located in a distance of 7,500 light years inside the emssion nebula IC 1805. It stellar winds are forming this nebula.